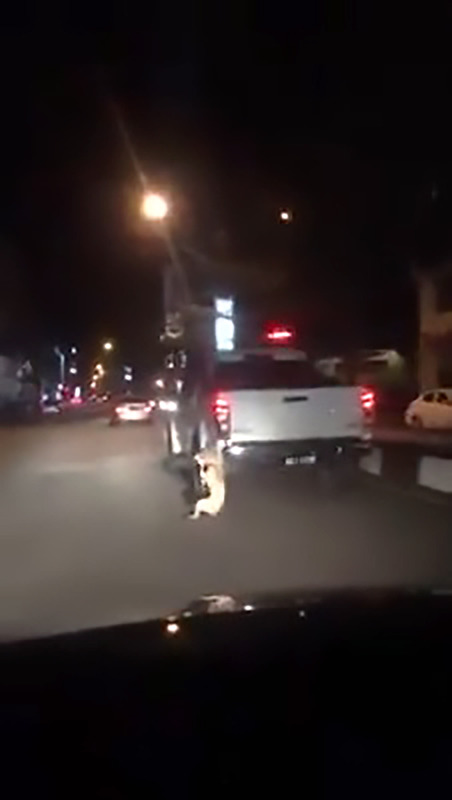 This is the shocking moment a struggling dog is dragged behind a pickup truck by its neck while the owner speeds along a city street. 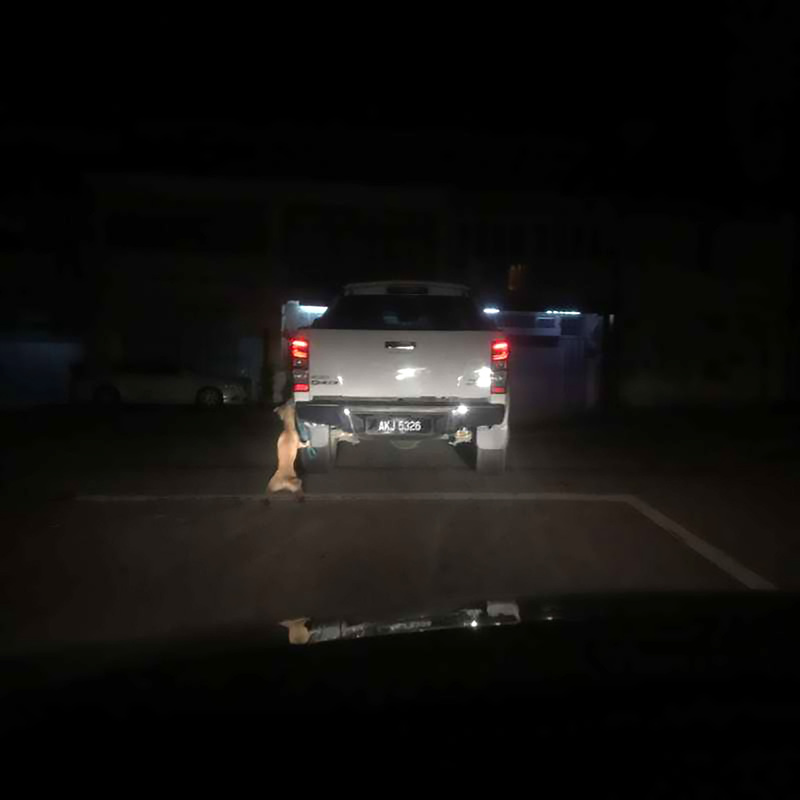 The incident took place in the town of Taiping in the north-western Malaysian state of Perak and was filmed by a motorist in the vehicle behind the pickup truck. 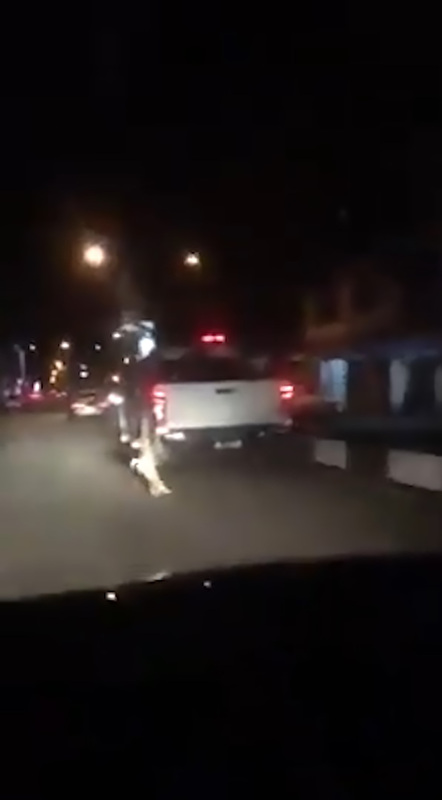 In the footage, a white pickup is seen driving along a street at night with a large dog tied to the back. 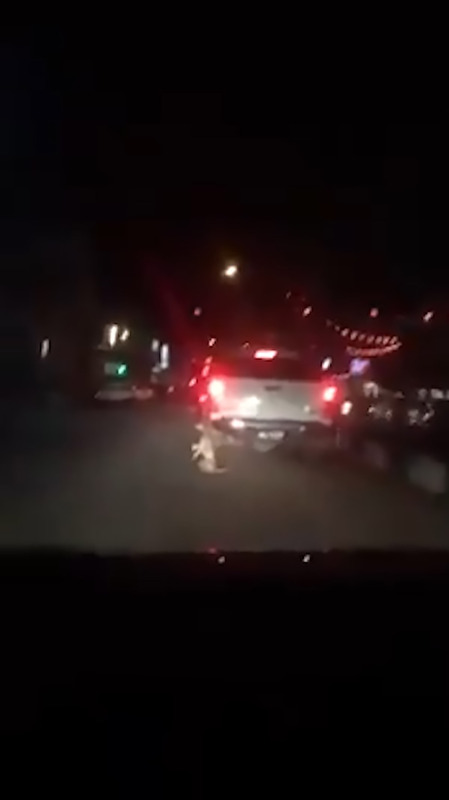 As the vehicle powers along the road, the poor pooch is seen struggling to balance itself as it is dragged by its neck. 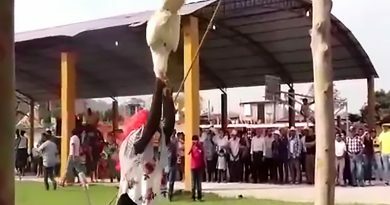 The video was shared on social media where it was widely circulated. 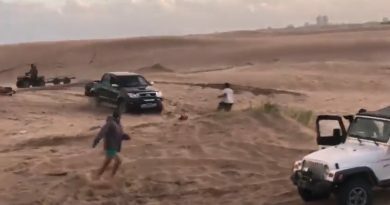 Several netizens even identified the vehicle owner, according to reports. Reports said that the police have subsequently arrested a 58-year-old unemployed man who is the father of the pickup truck’s owner. The suspect claimed that the dog survived the ordeal, but its whereabouts and condition are currently unknown. 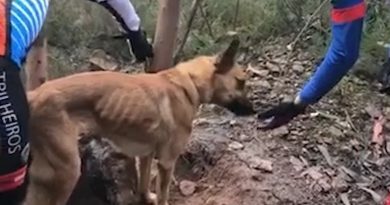 According to the unnamed dog owner, he was on his way to a local market to abandon his pet. The unnamed man claimed that he wanted to get rid of the animal because it was destructive and kept chewing electrical wires at home. 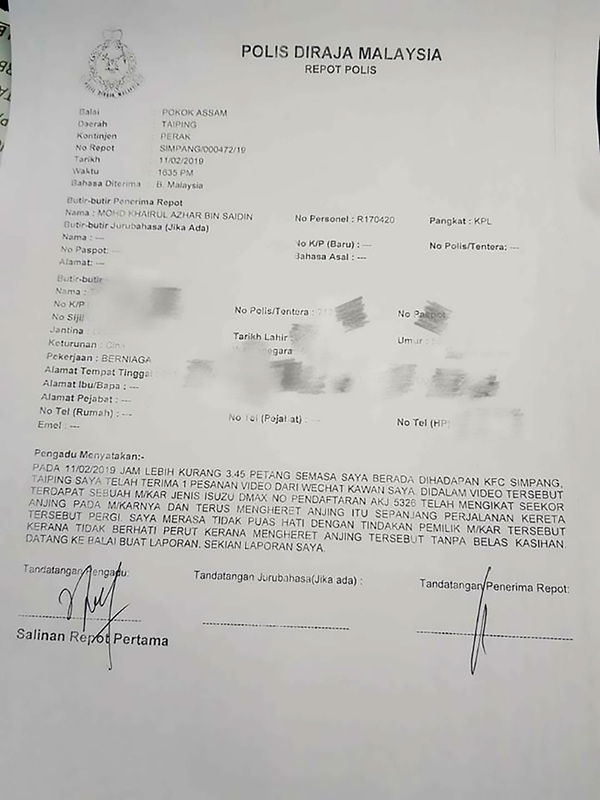 The police have said that they will carry out a “thorough investigation” and will submit their findings to the public prosecutor’s office to decide on the next course of action.